Do you receive way too many emails every day? You’re not alone. According to an online survey published in Huffington Post, workers in the US spend 6.3 hours a day checking emails. The number is almost evenly split between work-related and personal email. It’s no wonder the demand for alternatives is constantly growing. When people start looking for project management software, the goal is to organize their work and stop relying on email so much. Yet, the first question is usually how it integrates with email. Why is email still something we can’t drop entirely? Email is usually the main point of contact we leave for all kinds of interactions. We’re registered on social media sites, buy stuff online, subscribe to publications, get work emails, chat with friends and family, etc.. Even if we carefully configure email notifications on all outlets that have our contact (which most people don’t) chances are you’ll have a messy inbox. So how to deal with it? Even though email is here to stay, there are much better options for organizing your work. Pick a tool that has good email integration. ActiveCollab allows you to create tasks from email. 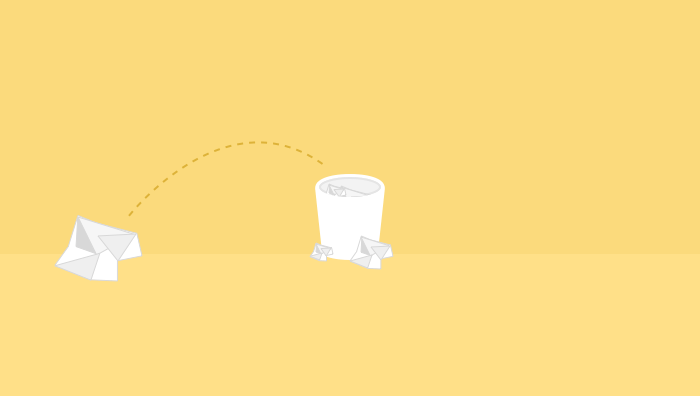 Whenever you get an email that is actionable, forward it to a project email address and delete it from your inbox. Ask yourself - Do I need an email every time one of my friends likes a photo on Facebook or posts a LinkedIn update? Do I really need an email for every action my colleagues do in our project management tool? Can I manage just fine without having all this information in my inbox? Chances are - you can. If it’s urgent or it’s something you can resolve quickly, reply right away. If it’s irrelevant, requires no action or contains no important information, move it straight to Trash. In case you’re not able to do something or it doesn’t concern you, forward the email to someone else. Finally, if you can’t do any of the above, don’t just leave it in the inbox. Move it to another folder, create a task in ActiveCollab or add it to your calendar. Have a clear course of action. That’ll help you a great deal in organizing your time and workload. Psychologists warn that email overload is leading to a rise in stress levels of employees. More and more companies are starting to take action by introducing email-free days, removing ‘all staff’ email addresses, or encouraging employees not to read work emails out of business hours. Even if your company culture is not yet changing in this direction you can take action yourself. Make sure you stay organized, apply a few simple rules, and get rid of unnecessary stress.